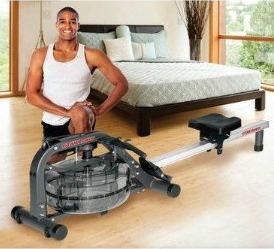 The Titan Water Rower is the entry-level model from First Degree Fitness. 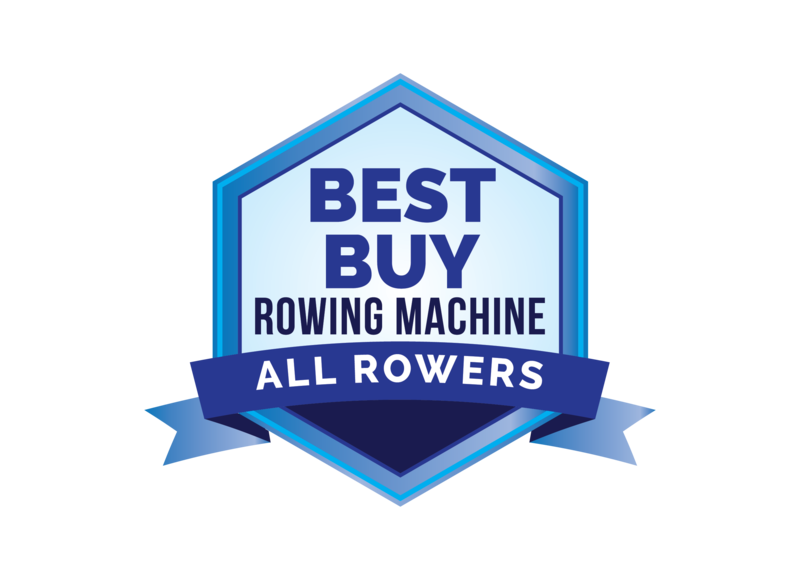 If you can’t afford one of the great high-end rowers, you’re in luck – this rower offers uncompromising value for about what you would pay for a better quality hydraulic rower. The Performance Monitor shows time, stroke count, strokes per minute, calories, and beeps with a tempo signal. The display is powered by batteries. Frame Length/Height: 77.8" x 20.1"
Let’s review what the Titan Water Rower offers: fluid resistance technology with a water volume level that adjusts from 9 to 17 liters (that’s up to 4.5 gals) to deliver a wide range of resistance; a polycarbonate tank shell and triple-bladed stainless steel impeller; and a custom extruded anodized aluminum rail for the seat to slide on. The padded contour seat runs on Delron wheels and precision bearings and rollers for incredible smoothness during the workout. It is engineered by professional rowers to be a low cost alternative to high end rowing machines, but it provides Variable Water Resistance and hyper-drive linkage that sets it apart from cheap machines. It’s provides a natural instant catch on the stroke with no dead spots – the same action you would feel as if you were rowing a boat on the water. The Titan Water Rower is simple to assemble and virtually maintenance free. It is a tribute to First Degree Fitness that they offer a model that sells for the eye-popping price of just $499. The only drawback is the annoying beep with each stroke but it can be disabled by taking the batteries out of the monitor. For a water rower that costs less than $500 – the beep shouldn’t be a deal-breaker. If the Neptune ($800+) rower is just a bit too steep in price, the Titan is the perfect solution for your budget and your fitness needs.